The most magical place on earth is Disney World! In Part 2 of my mini blog series, I have created a collection of 25 more tips and recommendations for all 4 Disney Parks in Orlando, Florida. 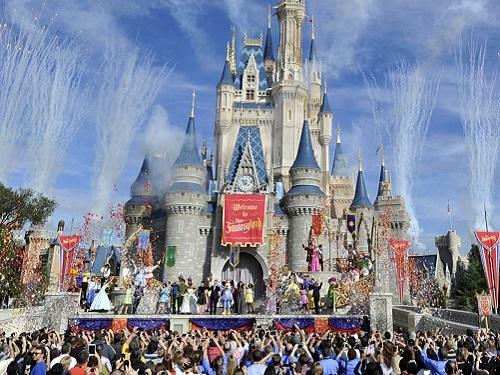 These tips and tricks are from my own personal experiences at every Disney World Park. In case you missed Part 1, go back and read it here. With the Royal Floridian Resort being under an hour and a half away from the magical world of Disney, it’s not uncommon to plan a day trip with your family! If you need a cool down from your hectic day, Rafiki’s Planet Watch has a petting zoo and it’s rarely crowded in this part of the park. 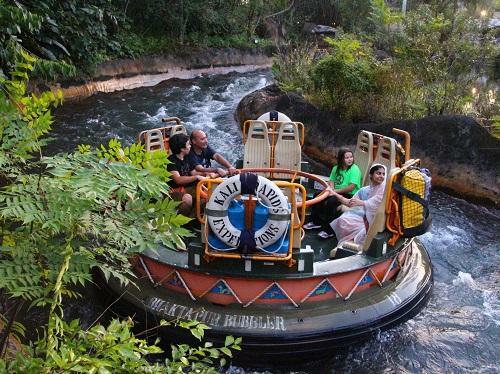 Don’t wear white if you are planning on riding through the Kali Rapids attraction. You will get wet, possibly soaked. Luckily Florida is so hot that you’ll dry off in no time. When I was about 4, It’s Tough to Be a Bug terrified me to point that I ran out of the show screaming. I finally enjoyed the 4-D show years later when I was old enough to realize the “little bugs” that crawl on you were actually a spritz of water and air that blow out of the chair in front of you. The Boneyard play area for little adventures is the perfect cool down from walking and standing in long lines. Out of all the Disney Parks in Orlando, you can only meet UP’s Dug and Russell at The Wilderness Explorers Club House in Animal Kingdom. 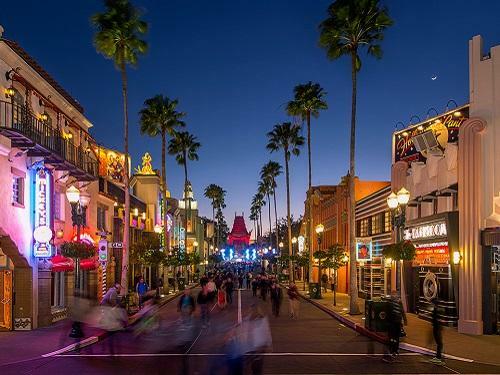 Set in the Golden era of Hollywood on Sunset Blvd, this park is dedicated to movie magic. Aside from the Tower of Terror, my favorite part of this park are the magnificent shows. The published opening time is usually 9:00 a.m., but the gates routinely open as early as 8:30 a.m. The street performers pull random people from the audience to participate. If you make eye contact and show excitement, then it’s lights, camera, action for you! Hollywood Studios is the best Disney Park during a rainy day, because most of the attractions and lines are indoors. Use one of your Fast Passes to see Fantasmic. This classic show has some of the longest lines in Hollywood Studios. If you really want to meet Woody and Buzz, hangout outside of the Pixar Place. It’s home to all things Pixar and the characters have a meet and greet across from Toy Story Midway Mania. It’s time to grab your passports because you’ll be walking around 11 countries in 300 acres to learn about the culture and innovations that each country in Epcot offers! I didn’t truly appreciate this incredible park until I turned 21, but Epcot has the best restaurants and the most innovative exhibits. End your day with Illuminations, the best firework show in all of Disney. The sky lights up with magnificent colors and designs. Keep your eyes out for a few Hidden Mickeys! 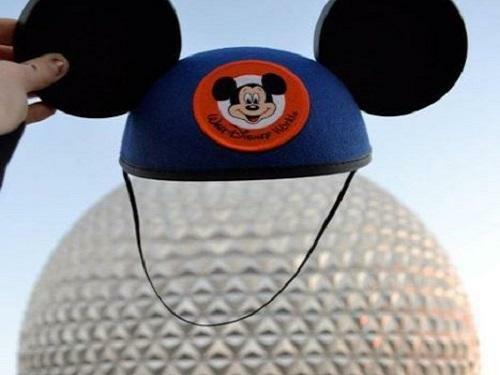 The large Epcot ball is actually a ride called Spaceship Earth. Pack your bathing suits, in case you want to dance in the interactive shooting water fountains for little ones. On Mission Space, if you start flipping all of the switches and pressing buttons, Lt. Dan comes over your speaker and talks to you. Open the lids on the crates in Africa, for an exhilarating surprise. Have you ever wanted to become a Disney princess, or maybe a pirate of the Caribbean? If your answer is yes, this is the park for you and your family. The Once Upon a Time light projection show on the Cinderella Castle is the most unique event in the entire world. There is nothing more incredibly beautiful and high-tech as the end of the day celebration. You can walk through Cinderella’s Castle as long as there is not a show happening. Arrive to the Magic Kingdom at least 15 minutes before it officially opens to see the Train Station Welcome Show. Exciting magic is a perfect way to start your day! Stay about a half hour past park closing for the Kiss Goodnight. This is a special goodbye message from Disney. I just recently crossed this off my Disney Bucket List! Save your feet and ride the Walt Disney World Railroad. The train stops at the Main Street Station, Frontierland Adventureland, and the Storybook Circus. This newly renovated area brings a whole new meaning to shopping in Orlando. 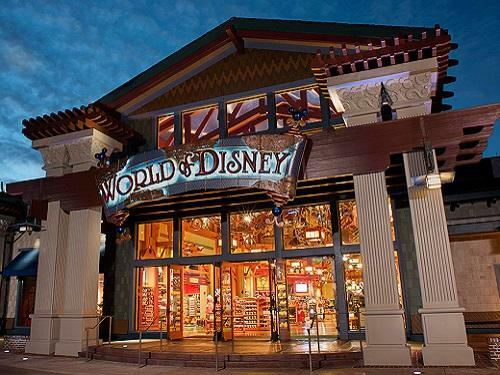 With110 different shops and 55 dining options, you could spend all day walking around with your family. You can build a Lego car and enter it in a race at the Lego store. Test every soap scrub in Basin. You won’t be disappointed and your skin will feel amazing. Eat at Blaze Pizza, because it’s healthier, faster, cheaper and delicious. Check out UniQlo for great athletic clothes and fun family games. No kids? Check out who’s playing at the House of Blues to enjoy good drinks and great music. When is your next trip to Disney World? Share with on social media!